The Weaving Stubble Rake has been developed to redistribute chopped straw and chaff after harvest. 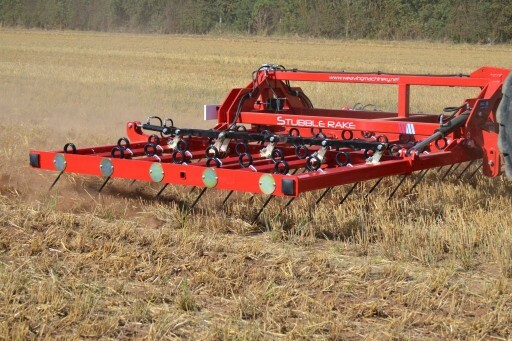 With its unique tine configuration and design, it is able to create ideal conditions in which weed-seeds and volunteers will readily germinate allowing for control before drilling. This machine is able to decimate slug eggs and weeds including black grass in growing crops. 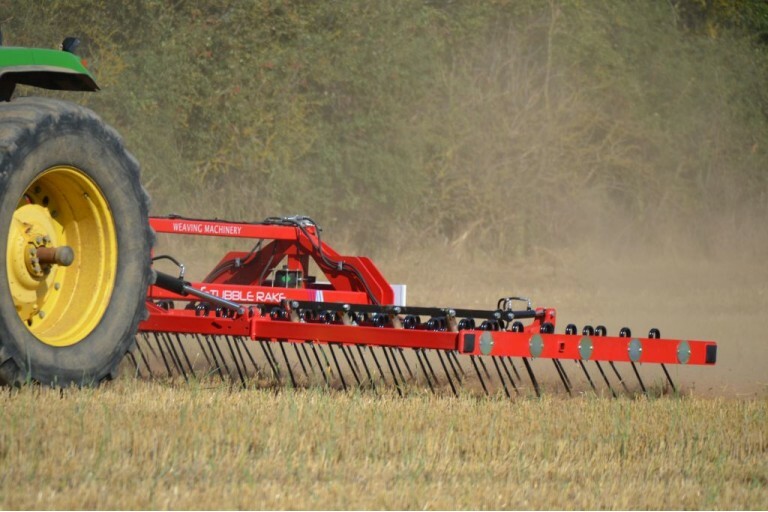 The Stubble Rake is used at high speeds and is able to work over a large acreage in a short amount of time. 5 Rows of heavy duty 16mm Ø tines with hydraulic tine angle adjustment. 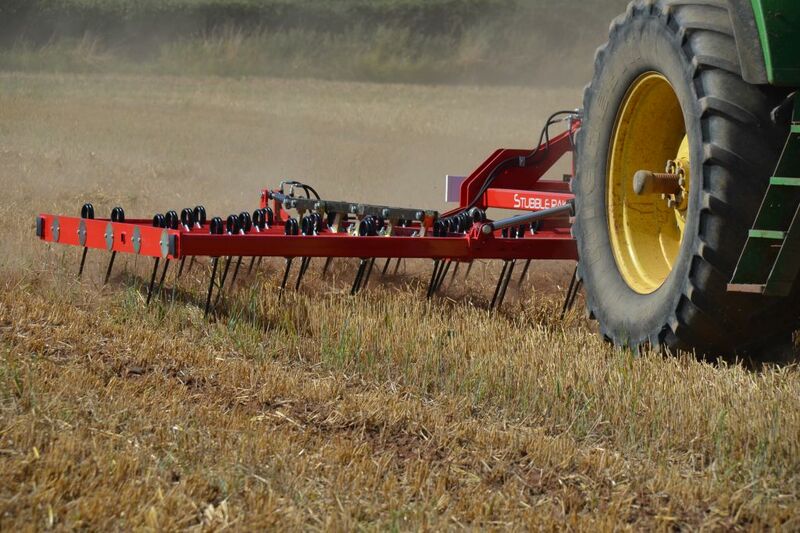 Heavy duty hydraulic folding. 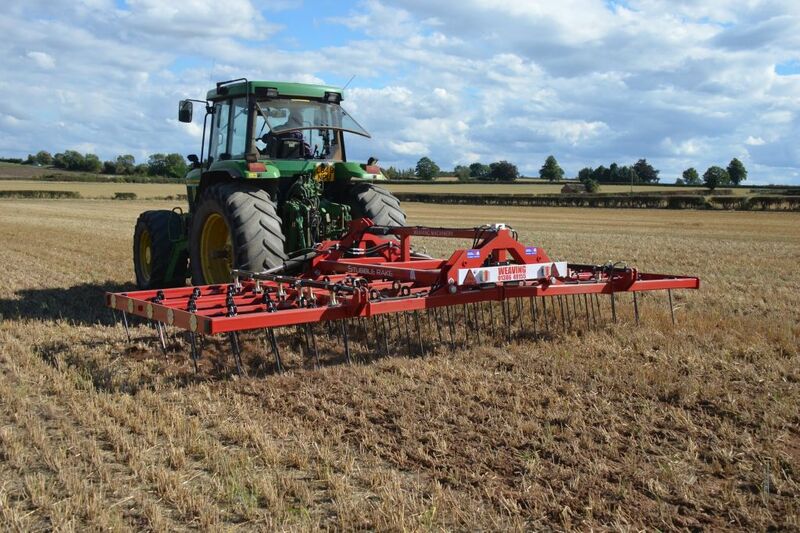 The tines are cushioned with an accumulator system. Overall transport width 2.8M. LED lighting board fitted as standard. Swivelling depth wheels on 8M models. Various finance options are available, subject to status. Please contact us for further information.